Everyone (?) agrees that the best part of book blogging is community. Therefore, there are two fun group events that I want to share with you in case you hadn't seen them. I'll be participating in both! 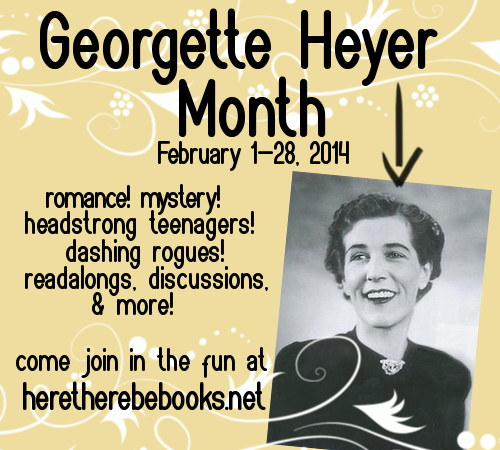 Anastasia is hosting Georgette Heyer Month in February. There will be a read-along and guest posts and more so go sign up if you're interested! I'll probably be joining the read-along and reading a couple of my TBR Heyers as well. And there's a fun project starting over at The Estella Society called Start 2014 Write hosted by Andi, Heather and Kailana. You can choose to write and receive 1, 3 or 5 letters or cards. 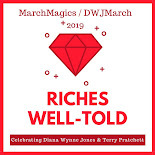 Mailing will happen in February and the event is open internationally. I've signed up for 5 because this project is awesome! I might have even looked for some new stationery to use just for this. Sign-up before January 20 to participate. I was thinking the same thing about stationery! I need to buy some pretty stamps now before the price increase. I can't wait for next month. I do need to find some appropriate stamps too. This is a very important endeavor! Oh I give in! I don't sign up for challenges anymore (just setting myself up for failure), but I had to sign up for the mail-writing thing. I love writing letters. I love getting letters. Trust book bloggers to come up with something so lovely. I'm so glad you've joined! I have totally sucked at my follow-through lately too but I just couldn't resist this either. I am not very confident about my own letter writing skills but I SO want to get some letters. This is going to be fun! I keep meaning to write letters so I'm also hoping that this gets me started because, well, I have to do it this time! I'm sure there will be a lag between when I write them and when I actually get them out though. Fantastic! (And I love that you are a Heyer fan.) I'm not so great at letters either but it's actually something I want to improve on so I thought this would help. We'll see if it ends up being a one time activity for me or if I can start a new habit. 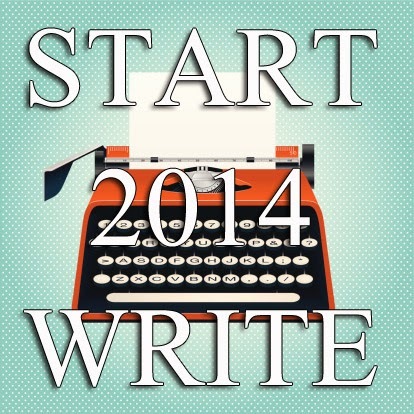 I totally signed up for Start 2014 Write and I am so excited for it!! I was just thinking that I need to see if I can get my hands on some cool cards or stationary, specifically for this event! !